The NBA season started this week, allot of people have been curious if the players would follow the disgraceful acts of NFL players kneeling during the national anthem. No players have knelt as of yet but a singer who performed the Anthem Saturday did. 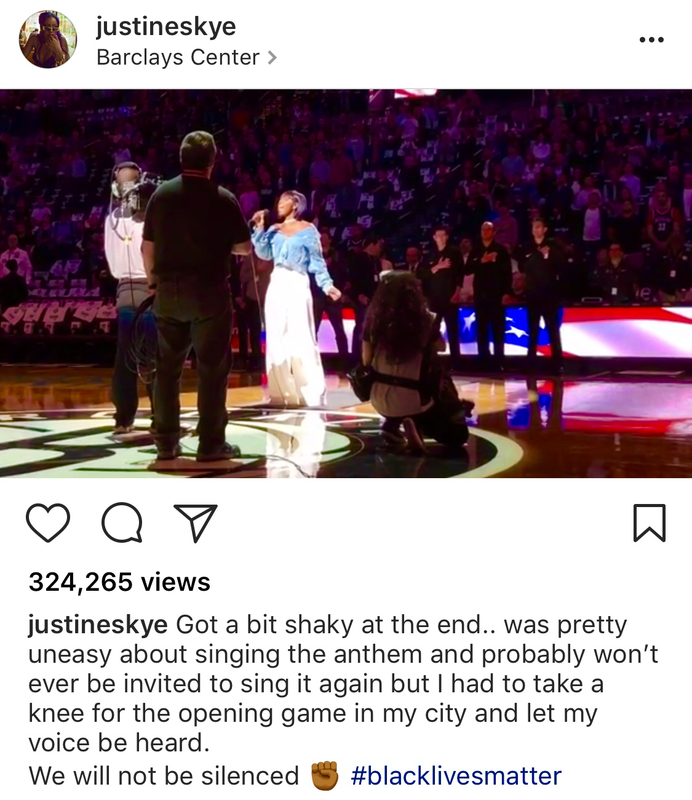 During the home opener for the Brooklyn Nets, singer Justine Skye took a knee after singing the national anthem. 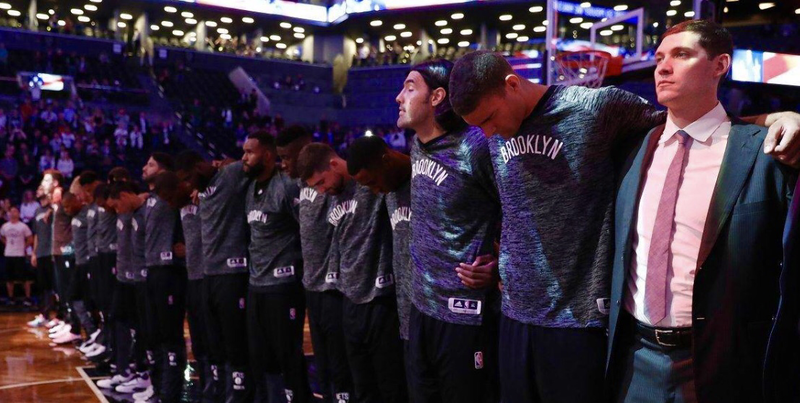 The NBA’s policy states that the Athletes must stand during the anthem so Players on the Nets locked arms in solidarity during the anthem.